Bayern Munich left-back David Alaba is a doubt for Wednesday's DFB Cup semi-final against Borussia Dortmund after suffering a minor knee injury in Saturday's 2-2 draw with Mainz. 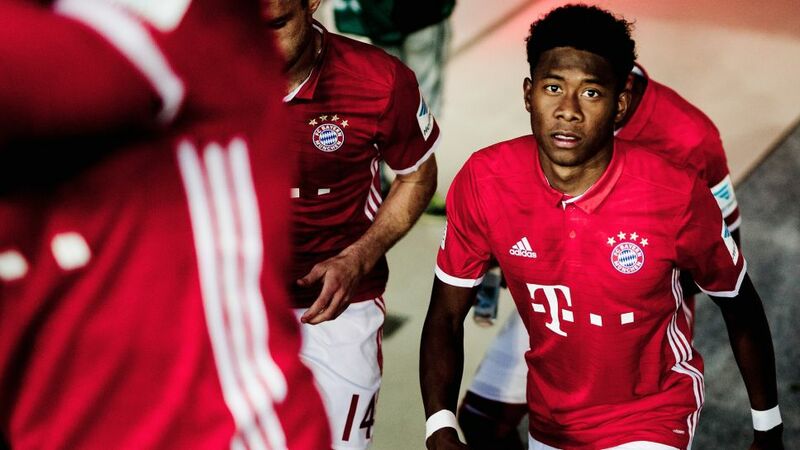 Alaba had to be subbed off after just 17 minutes at the Allianz Arena, and a medical examination later on Saturday revealed that he had sustained a capsular tear in his left knee. "It isn't a very big problem," coach Carlo Ancelotti said after the game. "But we will have to wait and see if he will be OK for Wednesday." It is therefore uncertain whether the Austrian international will recover in time to face Dortmund. The winners of Wednesday's game at the Allianz Arena will face either Borussia Mönchengladbach or Eintracht Frankfurt in the DFB Cup final on 27 May. Read: Spirited Mainz hold Bayern to a 2-2 draw at the Allianz Arena.